Choose from 15 colors for these cute Monogram Earrings priced at just $7.99 + FREE shipping – was $19.99! Who loves monograms? We’ve created a new flare to our monogram earrings. Our team has laser engraved and cut out your monogram in reflective acrylic. Each earring is secured in a fishhook earring setting to make a beautiful piece to add to your collection! 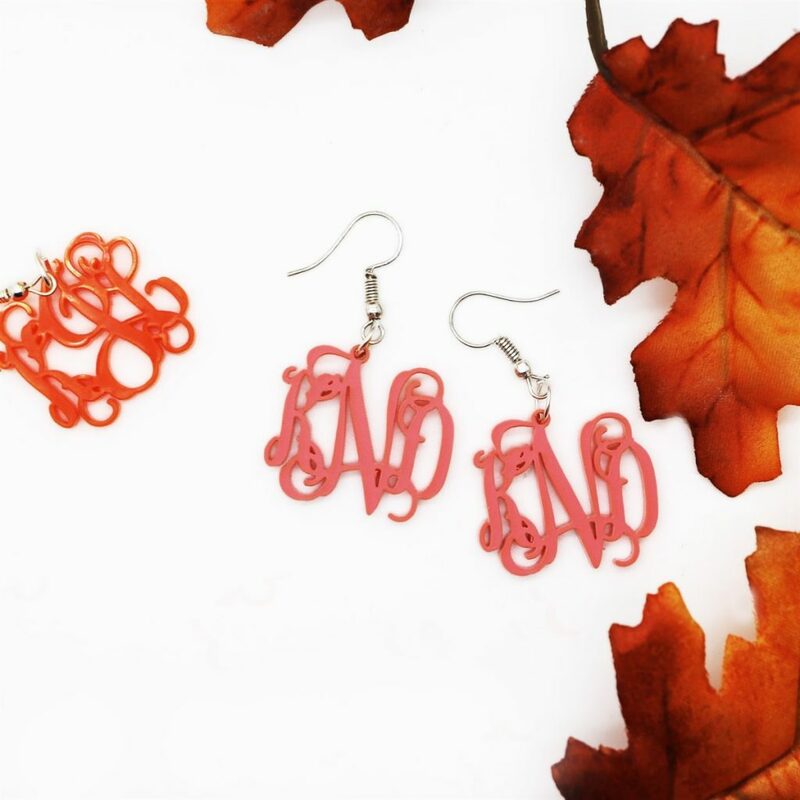 Our monogram earrings make the perfect gift for yourself or the special ladies in your life! Choose an initial or monogram! Make sure to add a pair to your jewelry box! Monogram notes: Traditional monograms are listed as first, LAST, middle initial. Ashley Marie Brown would read as ABM. Please enter the initials in the order you would like them to appear on your item. How they are submitted is how they will be printed.